When you have lived with something you’re not 100% comfortable with for 28 years, the prospect of changing it is both exciting and extremely daunting and that’s exactly how I felt about my teeth. Exciting because there was the potential to achieve the smile that I had always dreamed of but extremely daunting at the same time too because there was the risk that I wouldn’t like the results. When you undergo cosmetic or corrective dentistry, you’re not just changing your teeth. You’re enhancing your smile, your face and, as I now know, your sense of self. The impact has the potential to be life changing which is why it is so incredibly important that you choose the right dentist and treatment when you’re having any work done. If you read my previous post on my journey to a confident smile so far then you’ll know that I lived with very wonky teeth for a long time before straightening them with a train track brace which gave me the straight teeth that I’d wanted but with lots of gaps between them. I’d looked into Invisalign clear braces and traditional veneers but I hadn’t got to a place where I felt confident enough to go ahead with treatment for many reasons from the advice given and my understanding and faith in the treatment options to the cost implications. Towards the end of last year, that all changed when I discovered the revolutionary new service called Smile Design at Ewan Bramley Dental Care, near Newcastle. Suddenly, there was the very real possibility that I could transform my smile from one that I felt content with to one that I loved and since Smile Design consultations are currently offered for free, without any obligation, I had nothing to lose. My journey to a confident smile was not over, in fact it was only really beginning and that’s what I want to share with you all in this post. Smile Design offers the most sophisticated dental technology currently on the market. 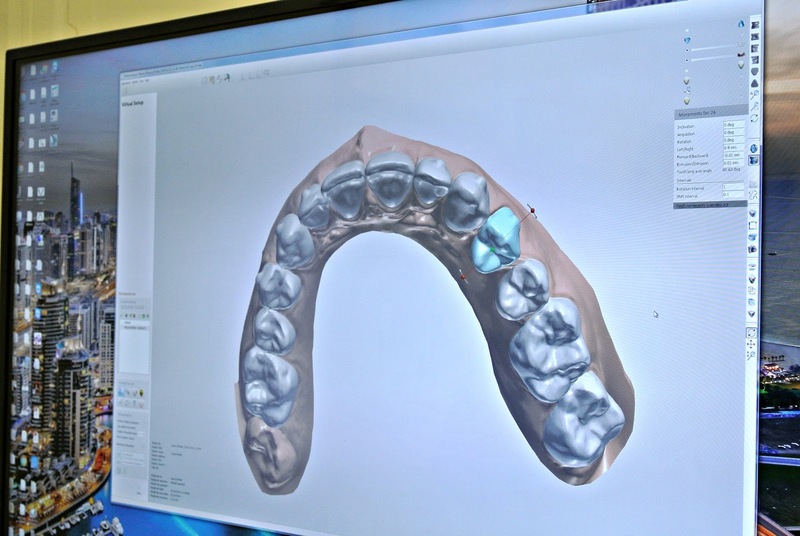 Gone are the days of guess work and risks as with Smile Design, Ewan Bramley Dental Care are able to scan your mouth, producing a 3D model and scan of your current teeth and smile. From there, they can then suggest a range of treatment options that will enable you to achieve the smile that you have always wanted. At many dental practices, if a dentist wants to take an impression of your teeth, perhaps for a brace or mouth guard, then they’ll use a tray with a plasticine or Play-Doh style putty inside that feels really unpleasant, not to mention freezing cold. The results are not as accurate as they could be and when you’re considering altering your smile, this is not something that you want to risk. 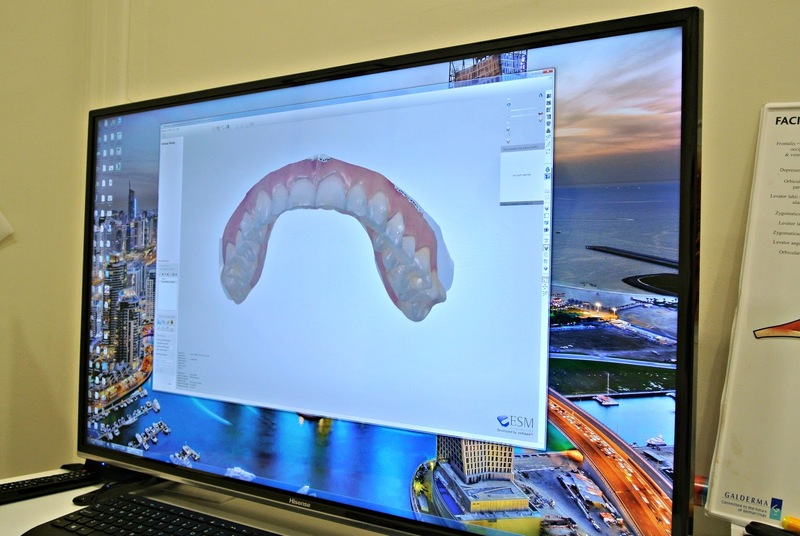 By comparison, Smile Design at Ewan Bramley scans all of your teeth inside your mouth using a specialist pen that records the characteristics of every single tooth. It is completely painless and very quick which makes it a comfortable experience and the results are exceptionally accurate. The Smile Design consultation is split over two appointments. I booked the first over the telephone as I shared in my last post and I was really impressed with how efficient the service was with both email and text reminders. When you’re as busy and often forgetful as I am, these are a total godsend. The dental practice itself is spacious, light and airy. It has a sense of calm about it and a very welcoming, friendly atmosphere, even from your first step through the door. What attracted me to my previous private dentist, before they changed hands and became a little too clinical feeling, was the sense of family homeliness and individuality which would really put me at ease before my appointments. 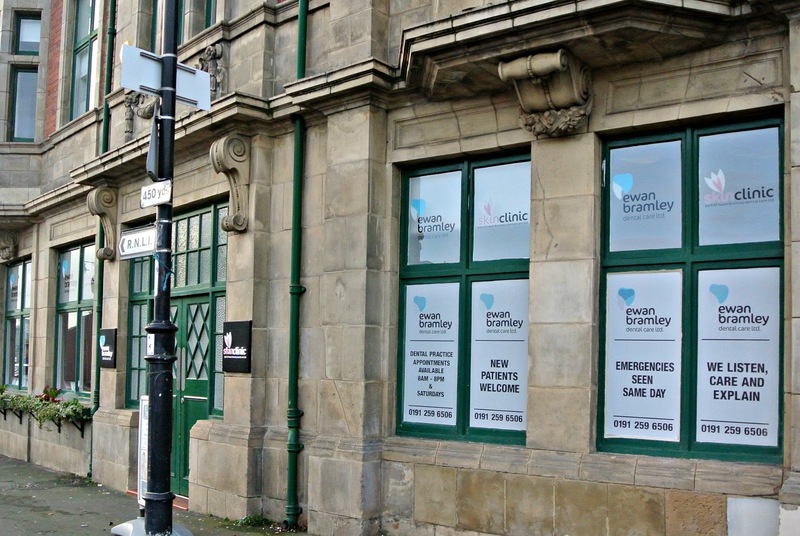 I love that Ewan Bramley Dental care provides all of the things that I loved about my previous dentist and more, alongside that the latest technology within their specialist treatment rooms and of course, the option of Smile Design which really sets themselves apart from other dentists in the region. My first appointment was around 20 minutes long and involved a thorough consultation before the scan of my mouth took place. Dentist, Ewan Bramley, took the time to ask me about the history of my teeth and the problems that I’ve had and he really listened and acknowledged what I was saying when I told him how I felt about my current smile and what I hoped to achieve from potential treatment. I explained that I wasn’t concerned so much about my bottom row of teeth and that my focus was on the top, with how spaced out the teeth are and the gaps either side of my two front teeth, largely caused by the teeth either side being on the small side. What I had explained to him during the consultation was recorded within my notes which mean that when I went back for my second appointment, I wasn’t having to repeat myself and my dentist could refresh and recall what I had explained. Ewan fully explained what Smile Design was, how it works and how it would benefit me. His unparalleled knowledge was evident from the outset and his approachable, friendly manner put me at ease from the start. As part of the Smile Design consultation, Ewan took photographs of my smile overall and my teeth closed together and held apart, up close to be able to see their shape, how they sit together, my bite, etc. Now these don’t make for particularly attractive photographs (nor can I believe that I’m putting them on the internet!) but they’re great for showing you the point that I started from at my first consultation and my areas of concern regarding my teeth. Following the photographs, Ewan then scanned my mouth using the pen like scanner. This is completely painless and I simply relaxed in the chair during the short treatment. It certainly made a change from those cold Play-Doh gum shields used to take impressions that I had experienced when I had my brace on many moons ago! I think even those who are worried or nervous about going to the dentist will feel at ease with Smile Design as there is literally no reason to feel otherwise. Once the scans were taken, I was shown back to reception to book my follow up session which is the actual Smile Design appointment. 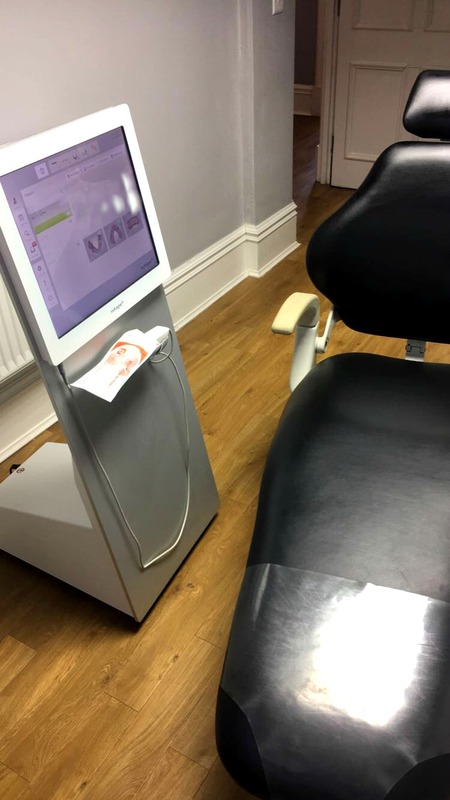 The time in between the two appointments gives the dentist and Smile Designer time to use the photographs and scan to produce a 3D model and scan of your current smile from which they are then able to look at the process and impact of a range of treatment options on your teeth. My second appointment quickly came around and I couldn’t wait to find out what treatment options were available to me. The appointment was very thorough, with Ewan showing me on the computer exactly what my smile and teeth were like at that point and how treatment would effect them. Ewan gave me the choice of 3 treatment options that would enable me to achieve the look of fewer gaps and straight teeth that I had always wanted. The first option was to close the gaps in my teeth using clear aligners which would open up space between my back teeth and close the gaps between the teeth at the front that can be seen when I smile. They would be the most affordable option available to me to achieve my desired smile. Clear aligners are virtually invisible, clear retainer style braces. Invisalign is one of the brand names for them which you may have heard of but Ewan Bramley Dental Care actually have the technology, expertise and equipment to create their own. This means that they tend to work out to be far more affordable than going to another dentist who will outsource and send away to a larger company, such as Invisalign, to have the clear aligners made. My dentist was able to show me the exact benefits of treatment, where my teeth would move to and what they would look like following the treatment. He advised me of the process involved, i.e. wearing them all day, everyday, and that it would take a short amount of time at around 3 months to achieve the desired results. He also discussed how teeth whitening would enhance my smile further. I liked that Ewan left no stone unturned and explained the aftercare and what would be expected of me, namely that I’d need to wear the final set of clear aligners on my teeth every night at bedtime forever, in order to ensure that my teeth remained where they should be following treatment. While this is perfectly fine for the majority of people, I knew that to me, this would be a downside of opting for this course of treatment as I knew that the chances of me wearing the clear brace every night were slim to none. The second option was to move my teeth with the clear aligner as before and to whiten my teeth but to also build up one tooth either side of my two front teeth using white composite which would make them look bigger and they would take up more room in the space, thus closing some of the more noticeable gaps between my teeth. While still a quick, virtually painless and affordable way to achieve results, it would still mean that I would need to wear the retainer every night. My third and final option was veneers. I could see on screen how my teeth would look if I were to have 10 or the new, almost prep-less veneers fitted and the results looked absolutely beautiful; it was as though I was looking at someone elses teeth! The great thing about Smile Design is that you are quite literally designing your own smile, so if you want to see the impact of even the most subtle changes or treatments, you can do and if there are any changes that you’d like to be made then they can do that too, if it is possible. 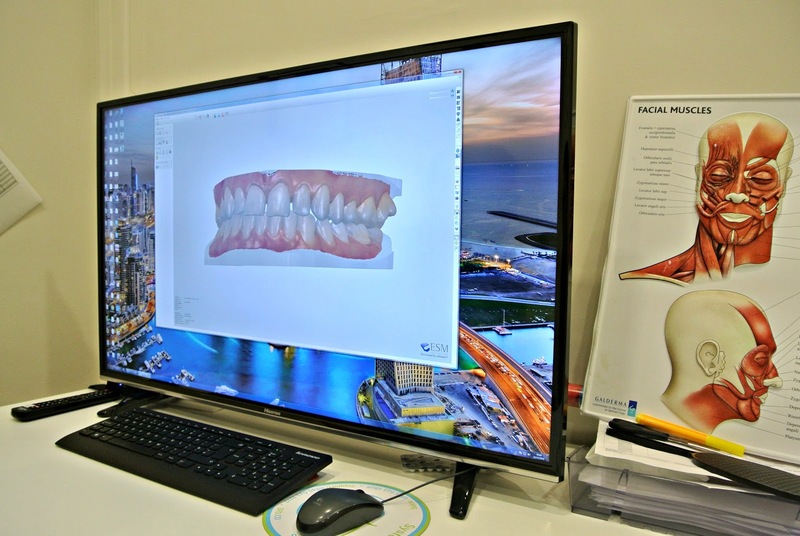 With Smile Design, you’re able to work with your dentist to produce a mock up of exactly what your teeth and smile will look like following treatment and gain realistic expectations over timescale and the financial cost. However what I wasn’t prepared for was being able to actually see what I would look like myself following treatment and that as a game changer for me. 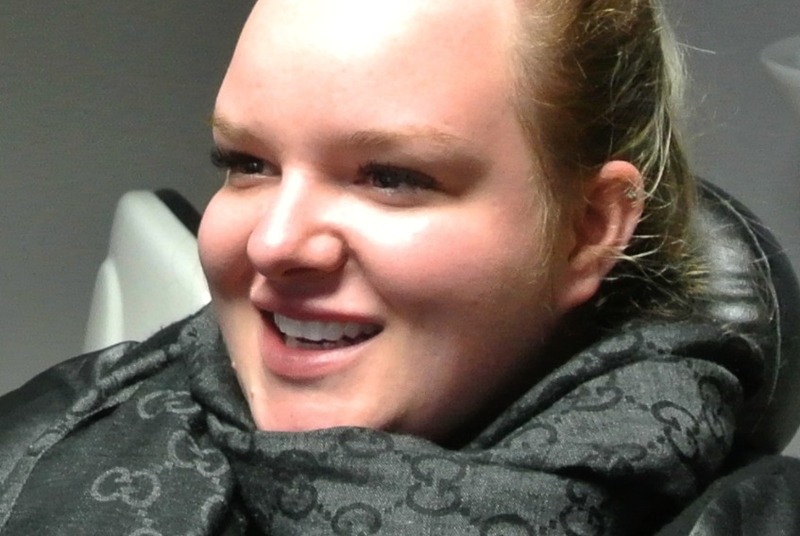 Usually, when you have a consultation for cosmetic or corrective dentistry, you can gather a vague idea of what the results will be but to be able to see exactly what you will look like with your new smile in your own mouth is absolutely incredible and something that can be achieved with Smile Design. 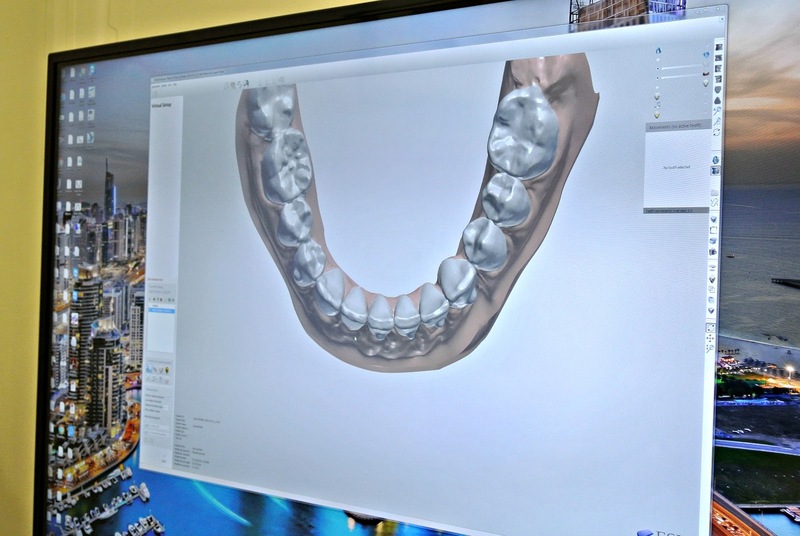 A gum shield style mould of how your teeth would look following treatment, created from the 3D image produced and designed with the Smile Designer, is held in place over your teeth for around 5 minutes. It has a white solution in it that sets onto your teeth. It isn’t painful or uncomfortable in the slightest. The dentist then removes the mould from your teeth to reveal your new smile; AMAZING! This gives you a temporary look at exactly how your teeth and smile will look following treatment and that is precisely why Smile Design is so incredibly powerful. 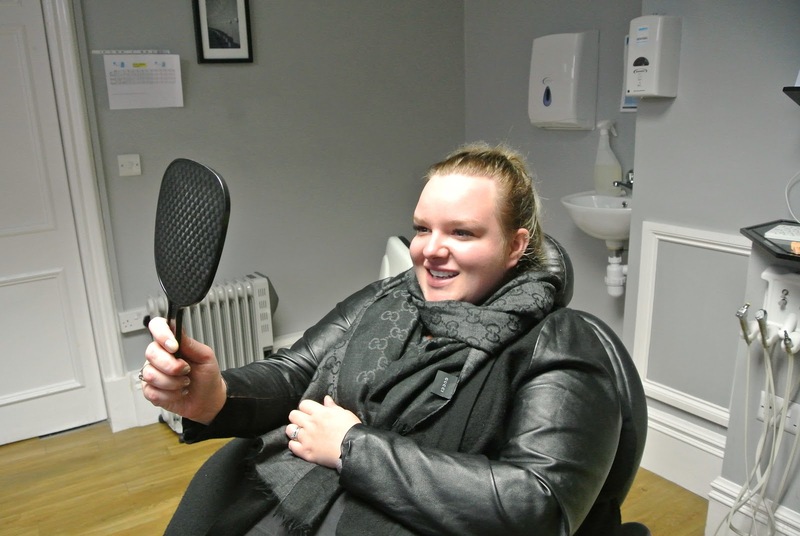 It takes the guess work out of treatment as not only are you sat with a highly trained professional who can give you the best recommendations and advice but you’re also seeing the results for yourself. The temporary teeth are painlessly removed from the teeth and you’re able to discuss any changes that you’d like to make, if any, with the dentist and smile designer so that you can ensure that you’re completely happy with the results that you will achieve. I couldn’t stop looking at my smile in the mirror while I was sitting with the temporaries on and felt so emotional seeing the results. For me, this enabled me to make my mind up immediately. Although I’m currently saving up to buy a house and the veneers were by far the more expensive option, theres no denying how incredible I felt seeing the smile that I have longed for for 28 years right there in my own mouth. I can’t begin to tell you how powerful that is to see. Sure, I could have opted for the clear aligners or the invisible brace with the composite filling and saved myself a considerable amount of money but nothing would be able to erase what I had seen my teeth look like, I would have only ever longed for the veneers and ended up getting them done in the future anyway. I’d been saving for a long time to have veneers so it was worth cutting back on my spending for a couple of months and booking my appointment to get them done. Smile Design really is completely revolutionary and I am so impressed with how professional, bespoke and powerful the quick process is. It took the risk, apprehension and doubt away from my decision for treatment which is so significant as I am someone who worries and gets stressed out. I felt completely at ease and excited for my future appointments and having now completed treatment, I wouldn’t hesitate to recommend Ewan Bramley Dental Care to any of you who are considering cosmetic or corrective dentistry. If you’d like to book in, give them a call on 0191 3037875. I cannot wait to share the results with you all in my next posts! What do you think about Smile Design? Isn’t being able to see the results before committing to treatment amazing? 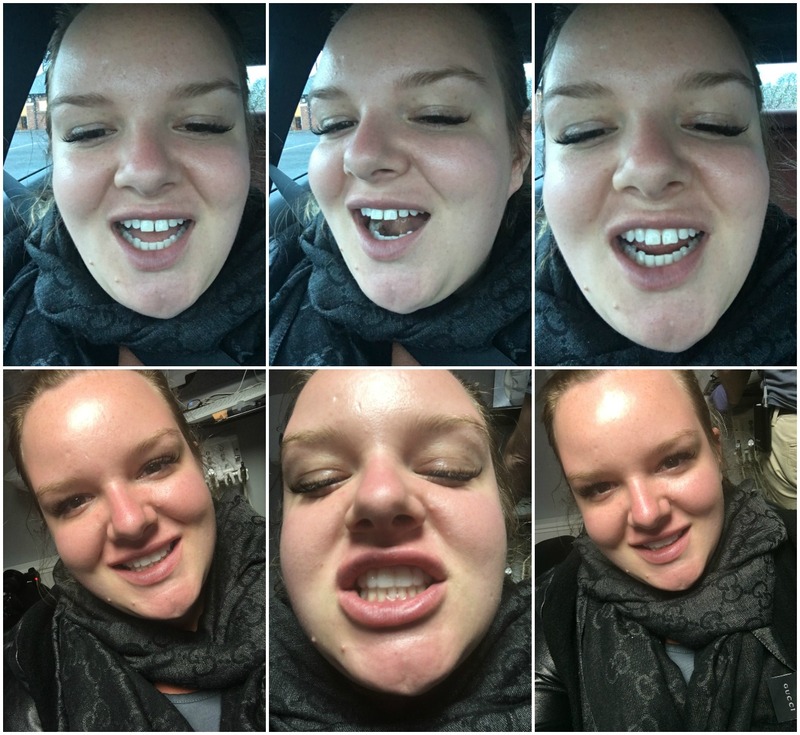 I've been considering veneers for a while now, so thanks for sharing your experience. I want to get my teeth whitened and fixed as well and this might be something that is happening soon so your post really put me at ease. Your veneers look amazing! Good on you for being brave enough to make a change and try something new. Self-confidence and self-awareness are hard to come by when you are uncomfortable or bothered by something of a physical nature. I've seen a sneak peek at your results on Instagram and they look amazing. What a transformation! I have always wanted a beautiful smile but never been brave enough to do something about it. Well done for going through this treatment. Great that you've had the confidence to go for it! Being able to see the results before committing is incredible! Oh wow they seem to do a very thorough preparation and it's great you can see what they will look like. I look forward to seeing the end result. Ah I hate dentisits! Your teeth look amazing though! You have a great smile! I have always wanted my teeth whitened – I drink too much coffee. You go girl! They look so good!!!! I need to do something similar for my front teeth. I like my main gap but I'm starting to notice spaces in between a few of my other teeth. I'm so glad you had such a great experience! I got veneers myself right after high school and I love the way they look. You look awesome! Seeing the results you will get is an absolute gamechanger, love that no guesswork is involved.